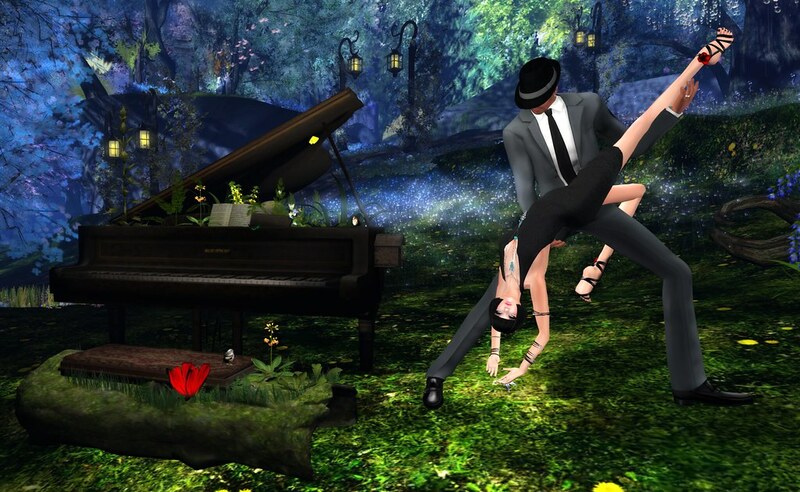 Second Life is rich with creative people…each one expressing their genius in his or her own inimitable way. Each time I set out to explore this amazing virtual world, I am awestruck with the depth of skill and attention to detail that goes into creating beauty, form and function out of pixels. Pouring your heart and soul into producing something from your imagination is tough enough in First Life…add the challenges of translating that same work into pixels, on a computer, and you start to appreciate the dedication and perseverance required to do so. I always feel honored and blessed that I have had the good fortune of becoming friends with truly artistic people in Second Life and one of those friends is someone I particularly cherish. Jillar Lamar is not only an incredibly talented digital artist, in SL, she also has the ability to translate that eye for beauty into the landscape of her Second Life world. The Beguiled; Art Gallery and Studio is where you will find the collective works from Jilla and where you will also find yourself immersed in a lush, whimsical landscape that invites you to slow down, wander the grounds and take in all the enchanting details. Jilla has managed to build an artistic, three dimensional masterpiece worthy of Monet.